Salaam Bangalore, originally uploaded by Manas Saran. This one is from the street photography days. 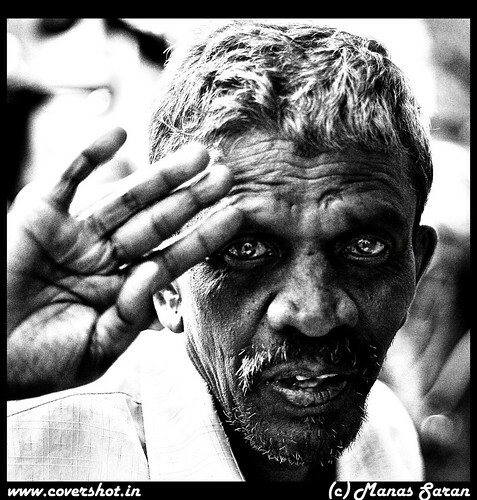 Shot near the Gavi Gangadhareshwar temple over two years back on a shoot with BWS (Bangalore Weekend Shoots). Metal, originally uploaded by Manas Saran. A casual shoot with Mayank "Metal" Mittal, traveler, rock enthusiast and a very close friend of mine. Strobist Info - One D-Lite 4 IT at power level 3 in a 66cm square softbox low camera right triggered wirelessly. Million Dollar Smile, originally uploaded by Manas Saran. It's been a while since I posted anything in B&W. 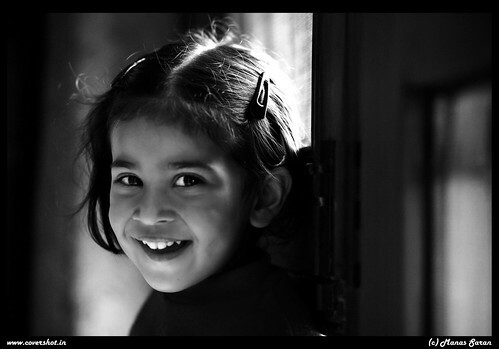 A very simple, window-lit portrait of my niece, Priyanshi. Priya - II, originally uploaded by Manas Saran. 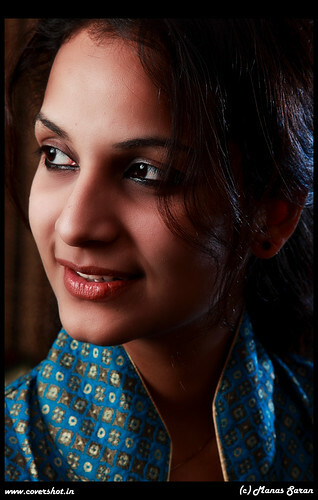 Priyadarshini is a media person based in NCR. She's been involved with the production of many documentaries and has a keen interest in art and culture. Strobist Info - One Canon Speedlite 430EX II at 1/4th power bounced into a medium reflector camera left and a Vivitar 285HV with a grid at 1/4th power camera right behind the subject. My Website - www.covershot.in, originally uploaded by Manas Saran. Finally my photography website is up and running. 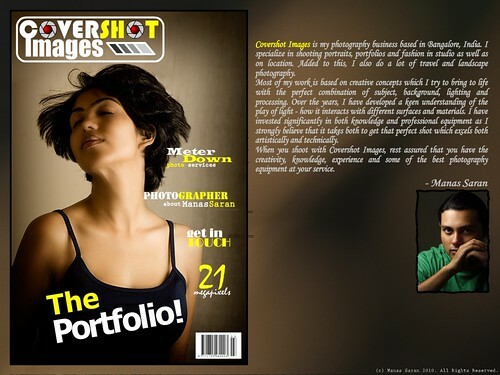 Please logon to http://www.covershot.in/ and let me know your feedback. Jigar Shah - Portfolio Shoot, originally uploaded by Manas Saran. One of the shots from Jigar Shah's photoshoot. 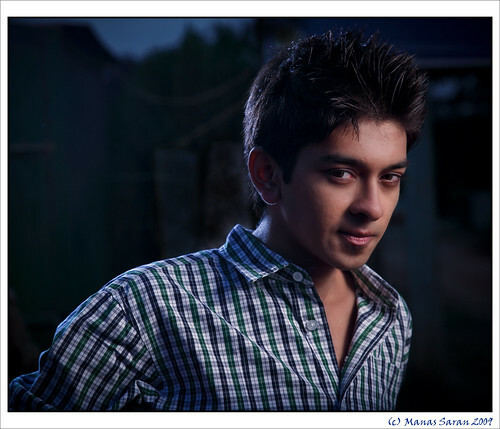 Did a professional portrait shoot for this upcoming model from Bangalore. He's a great model to work with and we all had a good time shooting this. Special thanks to Arpita who assisted me on this shoot. Strobist Info: One Vivitar 285HV with 1/2 CTO Gel Camera right at 1/4th power in a white shoot-through umbrella and another Vivitar 285HV with 1/4 CTB Gel Camera left slightly behind the subject shot bare at 1/4th power. Arpita, originally uploaded by LooseCanon. Did a small photoshoot with Arpita, at home on a lazy weekend. She had just changed her hairstyle and gladly agreed for the shoot. 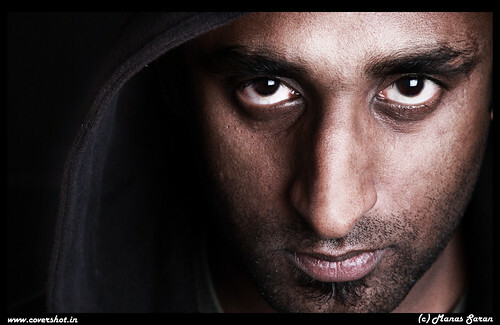 Also used this shot to practice some portrait retouching in photoshop. Strobist info: One Vivitar 285HV at 1/4th power in a shoot-through umbrella camera right triggerred by Phottix PT-04 remote triggers and a silver reflector on the other side for fill. "Live!!! ...don't just exist", that's my motto. I've been a follower of the "kya pata, kal ho na ho" philosophy since ages. For me, the whole idea of life is just one word - FUN. I am a guy with a winning atttude, always ready to "take the bull by its horns" (courtsey - Mr. Navjot Siddu)...a strong personality who takes quick and firm decisions and a risk taker who can not live without adventure.